Replacing the mirror actually requires certain skills. You not only have to ensure that the mirror hanging straight, but also should be aware that different types of Venetian Wall Mirrors should be hung in different ways. Then you also have to set the placement strategy! The following steps will help you to be an expert to install the mirror. 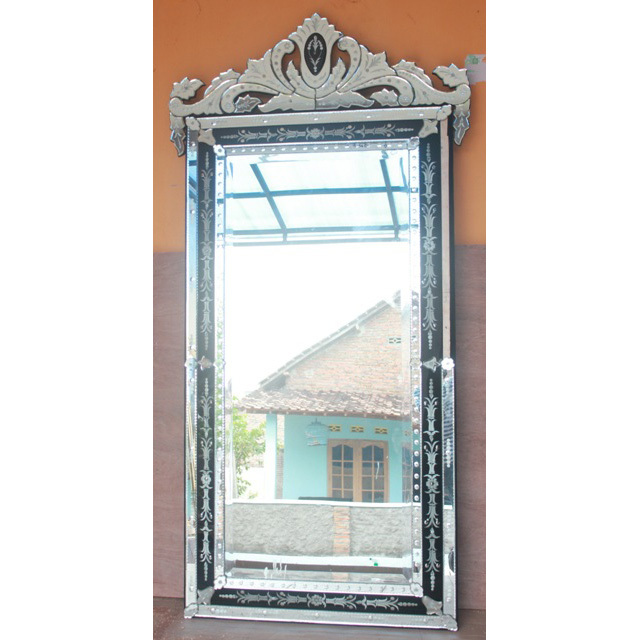 Install Wall Mirrors on the walls are now a much-loved by the people of Indonesia. Home decorating technique is able to create the impression that the rooms seem more spacious. Typically, the mirror stuck on the wall is a mirror paint coated fuel. Mirror with a minimum thickness of 5 mm is able to stand in the corner of the room humid though. Conversely, use of mirror coated paper we do not recommend because of its layers can be damaged due to continuous exposure to water. Prepare the mirror, fisher, sealant, screwdrivers and power drills. First, holes in the Wall Mirrors in the corners of effective where the screws will be installed. Second, give the sign of the dots on the surface of the right wall in the position of the screws will be installed. Third, use an electric drill to pierce point in the size of fisher used. Fourth, put all the fisher into the hole and make sure the wall is attached to fisher strong and unshakable. Fifth, put a mirror on the wall with regard mirror hole position is right in the fisher, enlist the help of another person to hold the position. Sixth, fisher screws attach the mirror holes and tighten with a screwdriver. Seventh, to make it look neat, the edges of the mirror can be coated sealant (a type of glass glue). Prepare plywood, glass glue, and double-sided tape. Pair was plywood (plywood) with a corresponding shape of the mirror on the wall of the room. Next, apply glue glass in certain corners of the rear mirror to be strong to withstand the weight of the mirror. Avoid smearing the entire backside of the mirror with glue because it will be difficult for us when they want to move it. Do not forget to paste also double-sided tape to hold the mirror while waiting for the glue to dry. Lastly, apply glue along the edges of the mirror glass. The third way is actually similar to the second way, it’s just glass glue material is replaced with resin glue. Glue type is considered to have a stronger adhesive force because it consists of two constituent components. Start by installing plywood on the walls so that the surface is flat. Mixed with resin glue and adhesive her with a measure of taste, then rub on the back of the mirror. Wait about 5-10 minutes for the glue to harden slightly, then attach the Venetian Mirror Black on the surface of the plywood. Tap-tap slightly so that the mirror strong glue. By gently remove the mirror and make sure its position is strong enough to stick. This entry was posted in Articles and tagged Venetian Mirror Black, venetian wall mirror.